Do you smell what the successful star of film and television formerly known as “The Rock” is growing? Yeah, that’s right… it’s the stench of disruptive facial hair. 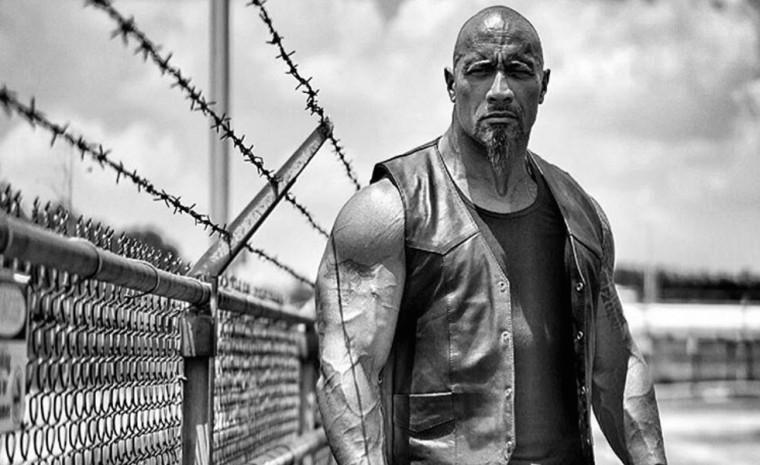 Dwayne Johnson recently took to Instagram to post a photograph of himself dressed as his Fast and Furious character Luke Hobbs, a granite Diplomatic Security Service agent who can flex his way out of a broken bone and shoot drones in the face. When you strip a man of all he has. All that’s important to him. You force him to return to his roots.. and sometimes that’s a very dangerous and twisted place. If I was going to return for another FAST & FURIOUS I wanted to come in and disrupt the franchise in a cool way that got fans fired up and their blood pumping to see a new version of Hobbs and his “Daddy’s gotta go to work” mentality and set the table in a cool way for where the character goes in the future. Maybe it’s a spinoff movie. Maybe it’s more #FF movies. Or hell maybe Hobbs just gets on his motorcycle and rides off into the sunset never to be seen again. Either way, I’ve had a solid first week of shooting, good to be back with the ohana, good to work again w/ my bud and director F. Gary Gray and our home studio of UNIVERSAL, as always have been the best partners to me and my #SevenBucksProds team. Most importantly… you guys around the world will really dig this new version of the role, ’cause as we always say, disrupters dent the universe. Frankly, this announcement leaves fans like me with more questions than answers. Only time will tell. For now, F&F fans should just relax and enjoy the original film’s return to movie theaters.